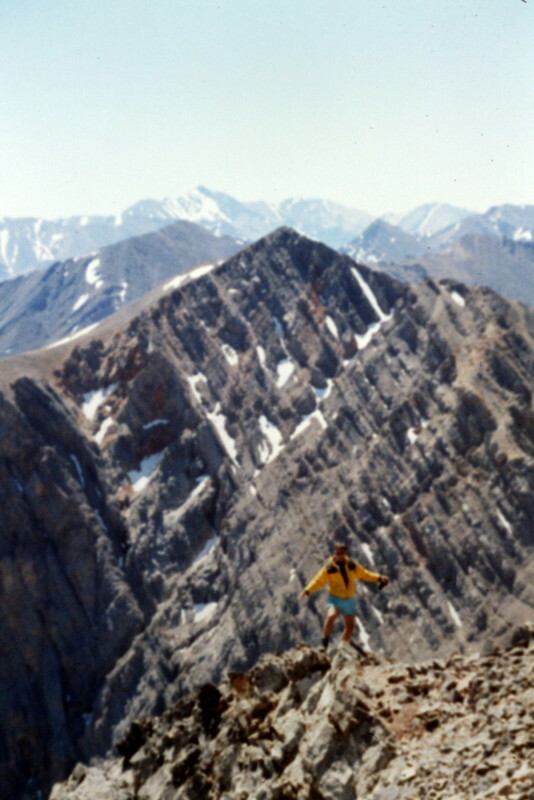 Livingston Douglas made the first known descent of the peak’s south ridge in 2014 as part of a ridge traverse from Trinity to Hope. His route is set out below. 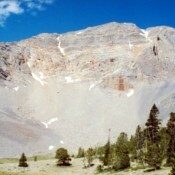 Trinity Peak from Christian Gulch. Ascending the peak’s southeast ridge. Ascending the peak’s southeast ridge. Hope Peak in the background. 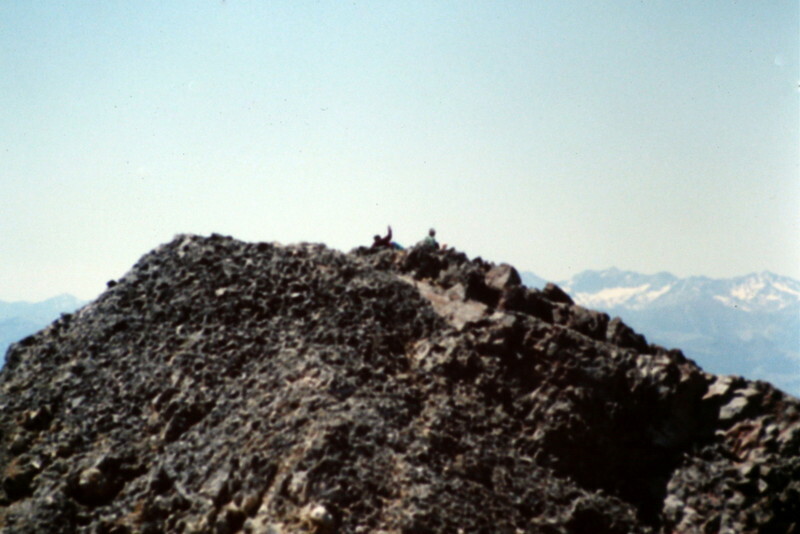 The summit of Trinity Peak. Date of Climb (7/11/14). 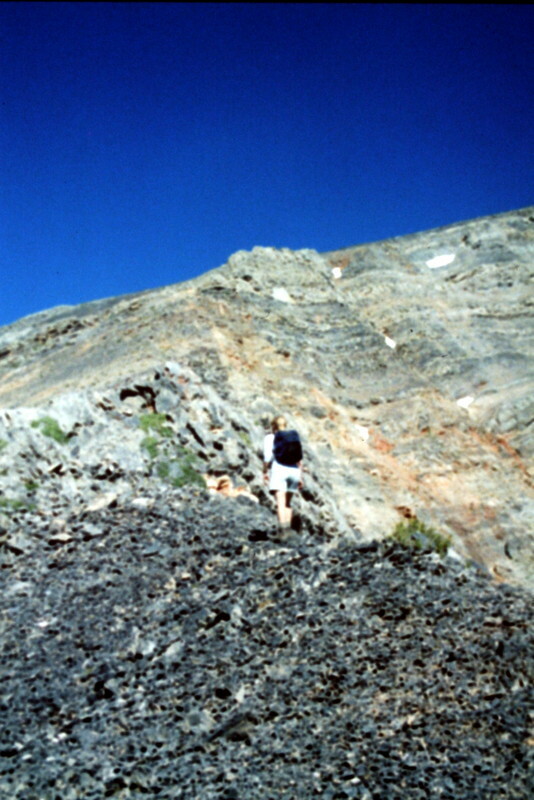 This is the first leg of a ridge traverse from the summit of Trinity Peak to the summit of Peak 11010/Hope Peak (see the Northwest Ridge Route of Hope Peak for a complete description of this traverse). The South Ridge is easy class 2 on broken scree. 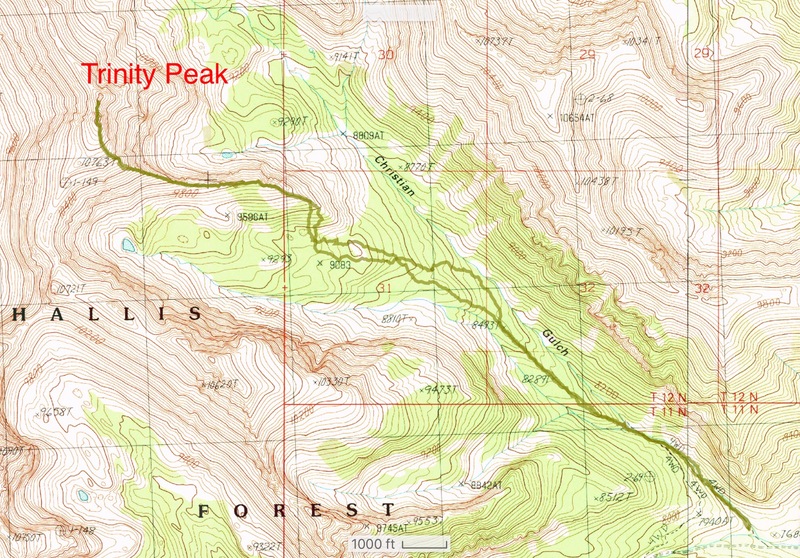 Goat trails will help you on this route. 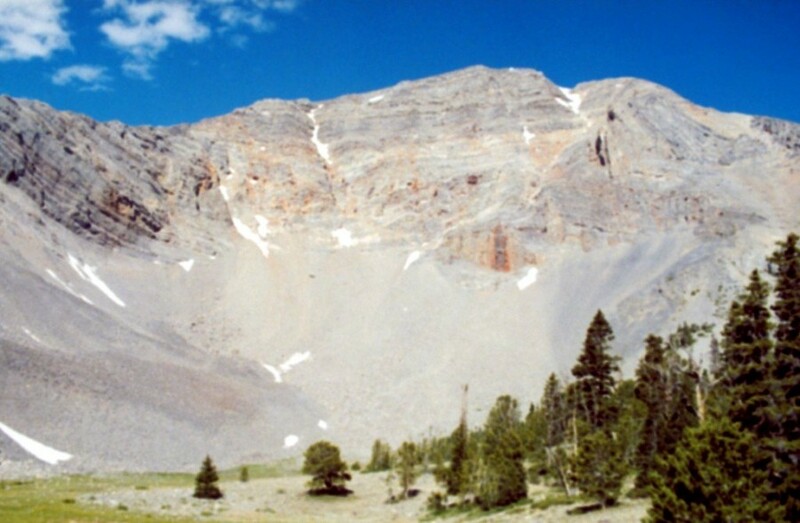 The South Ridge begins at the 10,460′ saddle just N of Point 10721; it ends on the true summit of Trinity Peak, which is the northernmost of the two ridge outcrops that comprise the south summit area of the peak. According to my map I could catch the east ridge a couple miles from the end of the road. After going around a small lake, I decided to gain the ridge to avoid loose scree to the west. Just below 10,000′ I navigated around through some snow before following the snow free ridge. There were a few sections where I had to use my hands for balance but it was easy climbing to the ridge. The traverse between the two peaks looked relatively easy except for one section below the summit so I decided to play it by ear. Once at the middle summit I was not sure if I was on the high point so I wandered over to the north summit. According to my phone it was 15 feet lower. Brett Sergenian Southeast Ridge GPS track. Round trip stats: 8.4 miles with 3,500 feet of elevation gain.